Personalize any design with your own color palette and your favorite enclosure, scored stock or layered card. 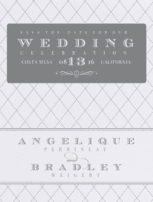 Use the filters on the left to find the perfect Save the Date or Wedding Invitation, then begin personalization. Personalize any design with your own color palette. 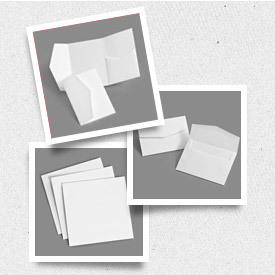 These designs are sized to fit directly into their coordinating envelopes without additional products. Use the filters on the left to find the perfect Baby Shower Invitation or Birth Announcement, then begin personalization. Personalize any design with your own color palette. 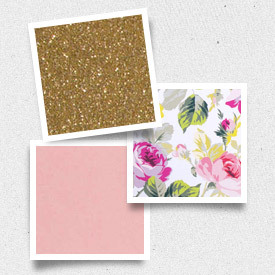 These designs are sized to fit directly into their coordinating envelopes without additional products. Use the filters on the left to find the perfect Birthday Invitation, then begin personalization. Personalize any Mitzvah design with additional products. Baptism invitations are sized to fit directly into their coordinating envelopes without additional products. Use the filters on the left to find the perfect invitation, then begin personalization. Personalize any holiday design with your own color palette. 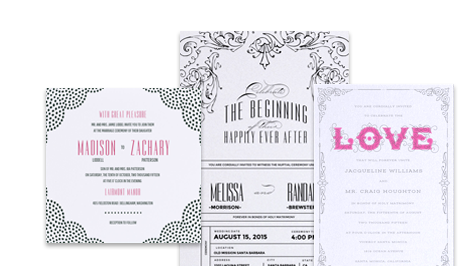 These designs are sized to fit directly into their coordinating envelopes without additional products. Use the filters on the left to find the perfect Holiday Invitation, then begin personalization. Build your product by first choosing from 200+ Colors & Patterns then selecting from 100+ Shapes & Sizes. Utilize a Mini Deck to reference the complete Envelopments premium collection of matte, duplex, metallic and vellum stocks (over 240 selections), including over 100 exclusive Envelopments patterned stocks. Build your product by first choosing from 100+ Shapes & Sizes then selecting from 200+ Color & Patterns. 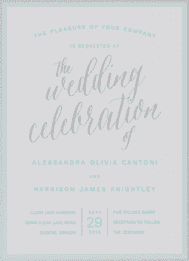 the perfect Save the Date or Wedding Invitation, then begin personalization. At Envelopments, it's our philosophy that celebrations feed your soul. Whether you're tying the knot, celebrating a milestone birthday, honoring the birth of a newborn baby or sending holiday greetings, we believe in sharing your love, with the ones that you love. There's no better excuse to throw a memorable shindig than commemorating life's occasions with your nearest and dearest. 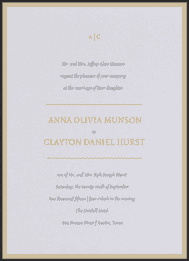 We invite you to define your moment with an invitation from the Envelopments collection. All intellectual properties are the exclusive property of Envelopments, Inc. Envelopments, Envelofolds, Pocket Folds and Portable Pockets are registered trademarks of Envelopments, Inc in the U.S. and other countries. Copyright 2015 Envelopments, Inc. All rights reserved.